heather & olive: chicago recap part II. This trip was 99% about food. 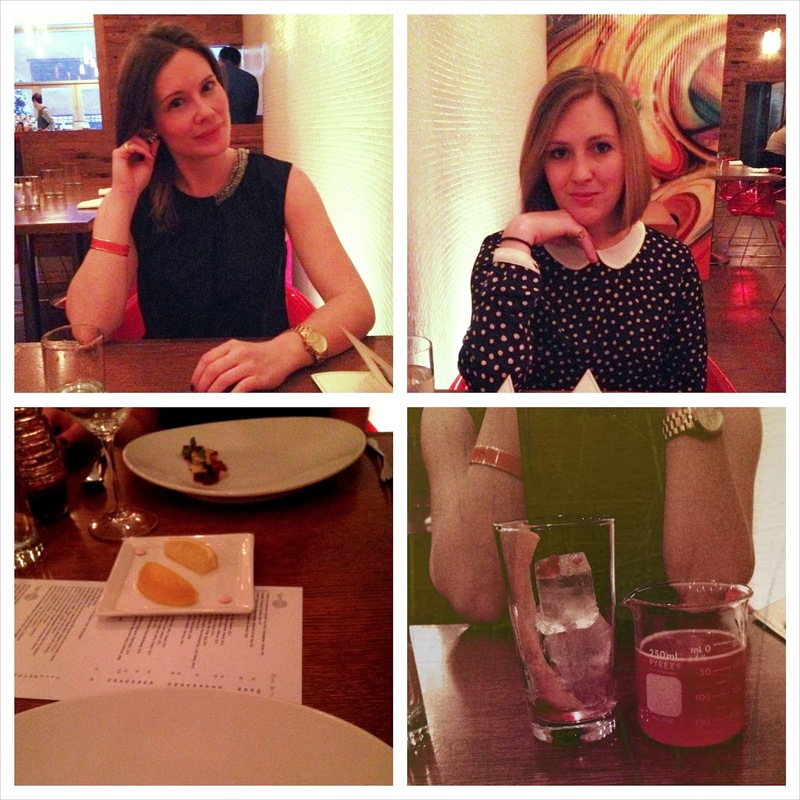 My sister and I love to eat, and Chicago has such a plethora of fabulous restaurants--we were in heaven. 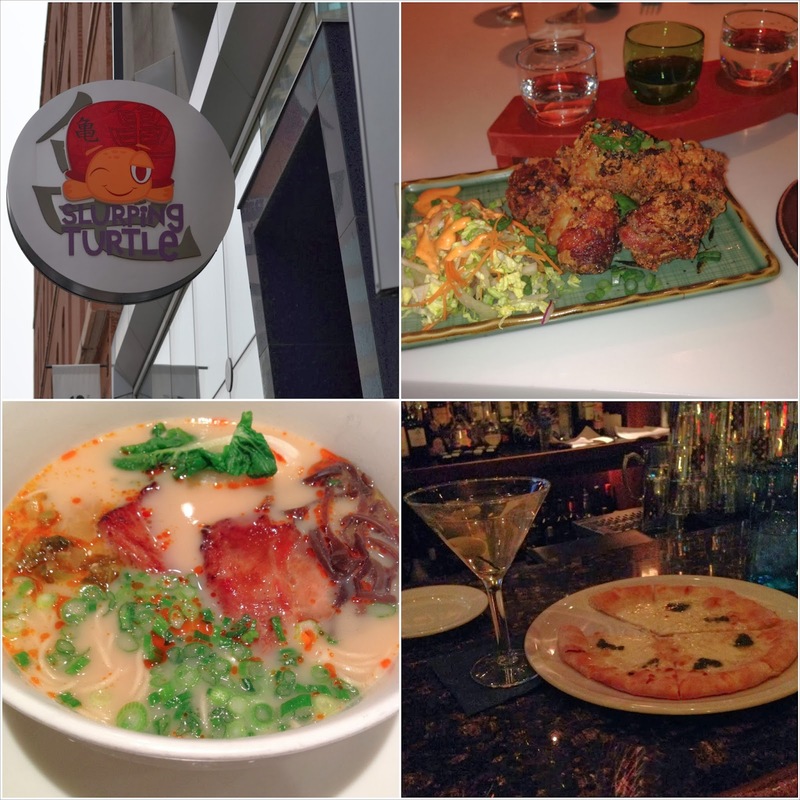 When we arrived Friday morning, we checked into our hotel and promptly made our way to the Slurping Turtle. [Well, we went there after we stopped at Firecakes for donuts, because...donuts]. The restaurant is owned by Takashi Yagihashi of Top Chef Masters fame, and its executive chef, Aaron Cuschieri was on Top Chef New Orleans this past season. (Aaron was actually there when we ate lunch, which was rather fun.) It was restaurant week, so we were each able to get an appetizer, bowl of ramen, and dessert for $22--it was an insane amount of food. Later that night, we were still stuffed from lunch so we went to the quiet bar at Keefer's for martinis and salads (and a complimentary pesto pizza that I promptly inhaled). 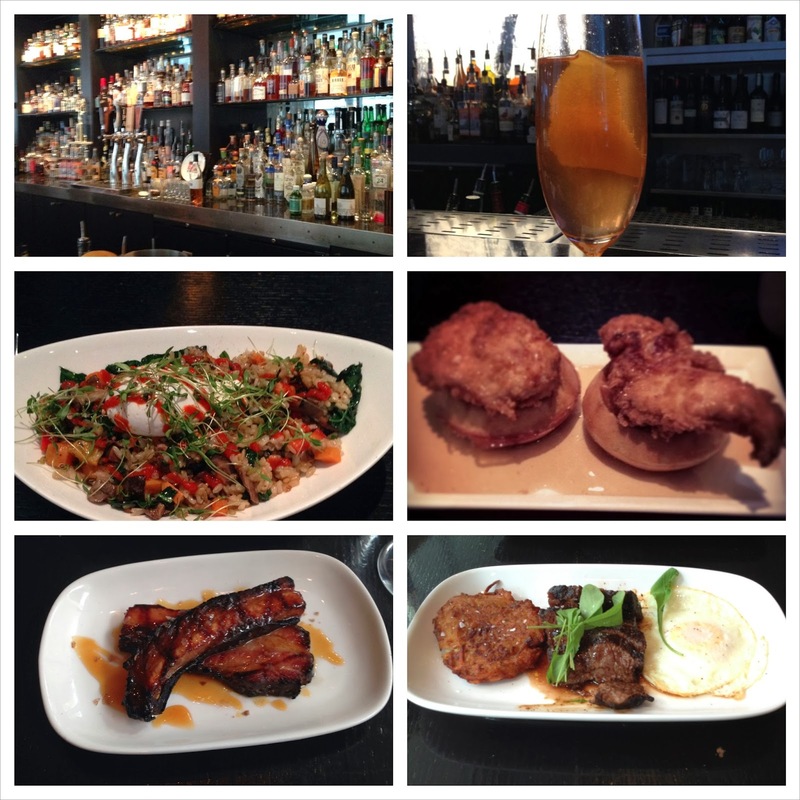 Saturday began with brunch at Sable, and our love affair with this restaurant/bar continued throughout the weekend. We had visited for drinks last year, and decided to try it out for brunch since it was attached to the hotel. And it was so friggin good. The executive chef, Heather Terhune was on Top Chef Texas. (Are you sensing a theme here?) After eating brunch Sunday, we promptly made another reservation for Sunday. I really cannot sing the praises of Sable enough--I highly recommend if you're ever in the River North area, either for some chicken and waffles or a delicious beverage (their cocktail menu is like a novel). Saturday night was the main event: we put on our fancy clothes for a 10-course tasting with drink pairings at iNG. iNG stands for "Imagining New Gastronomy", and their menu changes every 6-12 weeks to correlate to a new theme. Through March 1st, the menu is "Salvador Dali" and each course represents one of Dali's works, which was very cool. They even had edible melting clocks. Another cool aspect of iNG was their use of the "Miracle Berry": twice during our tasting, our server presented us with the course and a small plate with two pills and two wedges of lemon. We were instructed to try everything on our plate, and then eat the pill and wait 30 seconds. The berry binds to your sour and bitter taste receptors and makes everything taste sweet--hence the lemon. After waiting the 30 seconds, you take a bite of the lemon and it tastes sugary sweet so you know the berry has taken effect. Then, you try your course and see how the flavors changed. It was so different, but so fun--and you could purchase the berry pills on your way out if you wanted to flavor trip at home, which my sister (obviously) did. Every tasting I've ever done has been very traditional, so it was really great to do something different at iNG--I'm so glad we decided to go there instead of the more mainstream route. Their presentations were incredible, but it was a true "tasting"--the portions weren't totally out of control, and I didn't feel like I needed to be rolled out of there. The only time I felt like it might be too much was when we had a course with oxtail served in a bone with marrow--it was delicious, but a little heavy and slightly weird. Luckily we switched to a lighter dessert right after that so a potential crisis averted. And they were great with tailoring each course to meet my sister's GF needs. And that was our trip--nothing too crazy and exactly what we wanted. I'm glad my sister and I are on the same page when it comes to travel priorities. We're a good team. Yum yum yum. I need to go back to Chicago and eat my way through. Have you been to Nashville?